Margaret Jenkins stands on a track, her hair cropped above the ear. She wears a white V-neck t-shirt with diagonal stripes, laced shoes and—startlingly, to her peers—a pair of athletic shorts rolled halfway up her thighs. She is one of few women at the track. She lifts an 8’2″ javelin over her head and prepares for launch. In the moments before she releases, she spots the coach of an opposing team lurking nearby. She pauses, familiar with this mental game. “Get out of the way or I’ll spear you to the ground,” she calls. The coach disappears. She regains composure, takes a deep breath and propels the javelin into the air, watching as it soars, free and clear, its path unobstructed, over the field. Very rarely did anyone get in Jenkins’ way. The champion athlete and pioneer of track and field recalled this interaction years later, when reflecting on her ascent in sport. By all accounts, the woman could throw. Her 1919 Santa Clara High School yearbook, The Tocsin, described her as the baseball team’s catcher, the “most famous man at the bat.” Eight years later, when she came in third throwing discus during her tryout for the 1928 Olympics, the San Jose Mercury Herald commented that “she puts the her in hurl!” What did a woman with an impressive arm and indomitable grit do with her power in the early 20th century, when woman athletes were expected to wear blousy bloomers and avoid perspiring? 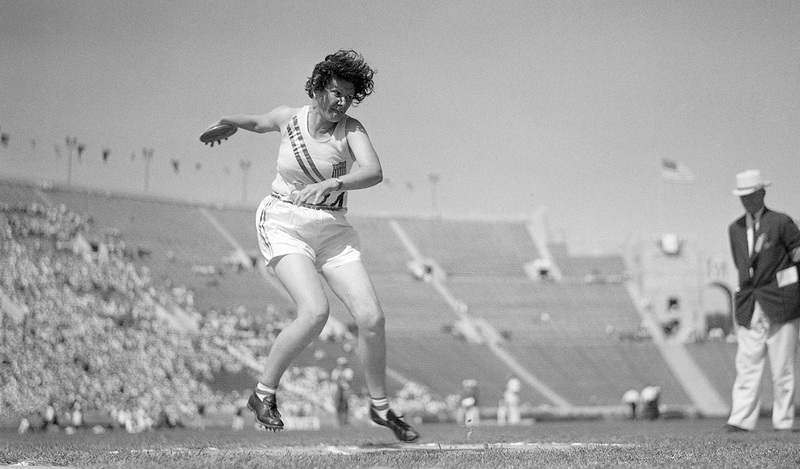 Whether she was competing in basketball, baseball, tennis, hockey, volleyball, or—her specialty—javelin, shot put and discus events in track and field, Jenkins brought an energy and determination to sport that set records in Santa Clara county, statewide and around the world. The 1925 San Jose Teachers College graduate pitched for her high school baseball team, which lost only one game, participated in two Olympic Games, collected more than 100 medals throughout her career and was inducted into three halls of fame before her death in 1996 at age 92. During her junior year of college, she was approached by Laura Herron, the director of San Jose State’s women’s physical education department, to compete in a telegraphic meet. Telegraphic meets involved competing against off-site competitors and communicating scores via telegraph. She threw basketball, baseball and javelin, and despite accidentally grabbing the men’s javelin, which was heavier, she came in second. Emboldened by her success that day on the track, Jenkins sought out the help of Stanford University’s track and field coach, R.L. “Dink” Templeton, to help her master her technique. Though he was initially hesitant to take on a female athlete, Templeton ultimately agreed to coach her. 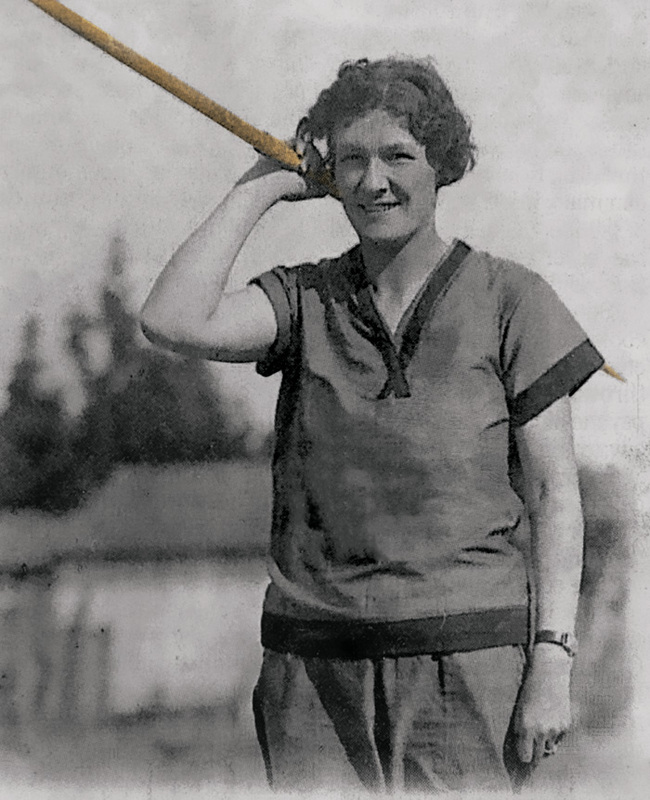 In 1927, 1928, and 1929, she took three first-place national competition finishes in javelin throw, notably setting the world record for javelin throw of more than 129 feet in 1928. When she learned that her preferred event would not be included in the 1928 Olympics, Jenkins asked Templeton to teach her the discus just eight weeks before the games began. 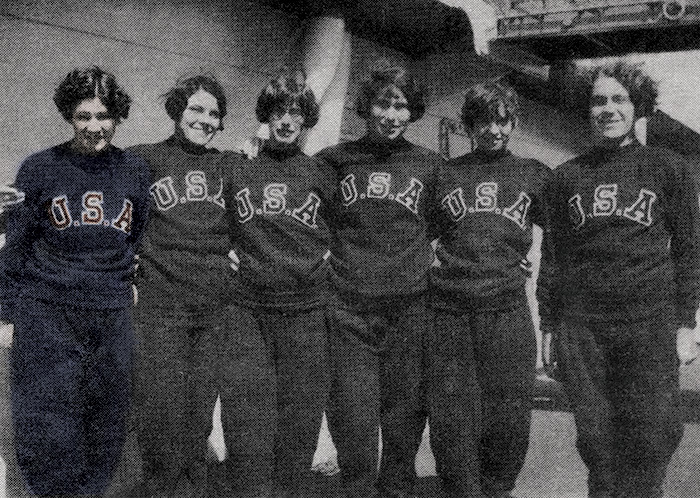 That summer, she joined a team of 19 woman athletes—the first Olympic women’s track and field team representing the United States—on the President Roosevelt ship, which took a week to sail across the Atlantic to Amsterdam. For Jenkins, sport provided entry to an international community and the world at large. Though she did not medal at the games, she did spend three weeks traveling solo across Europe with money she’d earned teaching. Jenkins juggled training for national and international competition with a 30-year teaching career in Santa Clara. She qualified for the 1932 Olympics in Los Angeles, but she didn’t medal. She lived long enough to witness monumental change, both in athletics and in society as a whole. Born in 1903, just three years before San Francisco’s infamous earthquake, she came of age just as women won the right to vote. 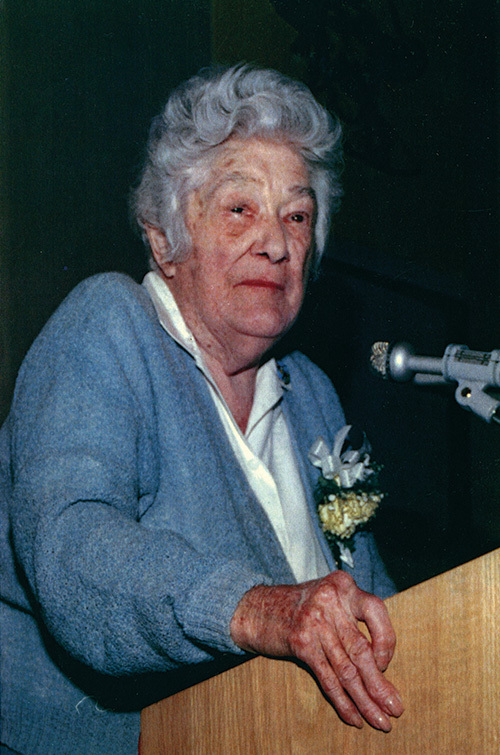 She was a Navy officer in the Women Accepted for Voluntary Emergency Service (WAVES) program during World War II, and spent every summer fly-fishing, either in the wilderness of Alaska or near her Lake Tahoe home. She never married and had no children—in itself a revolutionary act for a woman of her generation. The decorated athlete spent her retirement fishing and invited the 1968 Olympic track and field team to train at her Lake Tahoe home to mimic the altitude of Mexico City. Notable SJSU alumni Tommie Smith, ’69 Social Science, ’05 Honorary Doctorate, and John Carlos, ’05 Honorary Doctorate, were among the athletes who trained at Echo Summit just months before staging their historic moment for human rights on the Olympic podium. It seems fitting that the first woman in Santa Clara County to participate in the Olympics hosted the next generation of record-breakers, some of whom regarded sport as an opportunity to address civil rights on an international platform. Jenkins died in 1996, the same year that 271 American women competed at the summer Olympics in Atlanta, Georgia. That year, Finnish athlete Heli Rantanen’s winning 222′ javelin throw outpaced Jenkins’ best by nearly 100 feet. Though progress in sport may be measured in inches or meters, Jenkins’ secret was to get “right in with life and [keep] going.” One foot in front of the other, one meet at a time, each day dawning new—that was how this pioneering Spartan created her legacy. Margaret Jenkins’ story represents a long tradition of outstanding woman student-athletes at San José State. From Olympic swimmer Lynn Vidali Gautschi, ’76 Kinesiology, ’77 Teaching Credential, to record-breaking gymnast Thomasina Wallace, ’12 Kinesiology, generations of Spartan women have led successful careers in sport. Read The Women in Sport Stories. Previous story Is Mobile Health Good for You?